In light of the results of the first debate, how important is the vice presidential debate? The stakes couldn't be higher for Thursday's vice presidential debate. 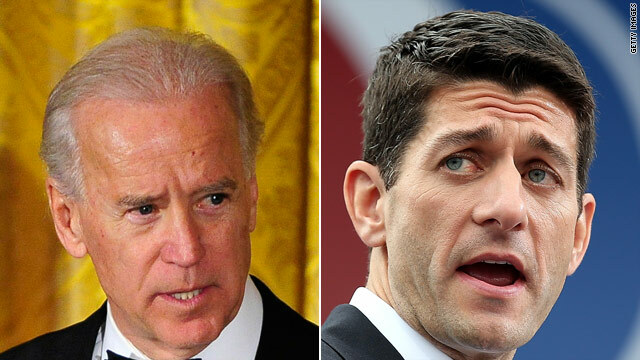 After the debacle that was President Obama's performance at the first debate last week, expect interest to be especially high when Joe Biden and Paul Ryan face off in Kentucky for their only debate. At this point, in the face of plummeting poll numbers for the president, the Obama campaign must rely on Joe Biden to turn this thing around. Good luck with that. Look for Biden to come out swinging, hitting hard on issues like Romney's "47%" comment, Ryan's controversial budget plan and his proposal to change Social Security. As one Republican adviser tells Politico, Biden will bring his "proverbial nunchucks and brass knuckles" to the debate. Of course, this has got to leave a lot of nervous Democrats, because with Joe Biden, you never know what you're going to get. While Biden is a seasoned debater who connects well with voters, he also tends to say dumb things from time to time. Just a couple of months ago, the White House had to sweep up after Biden after he told a largely black audience in Virginia that Republicans "would put y'all back in chains." Ryan will no doubt ask Biden about foreign policy, including the murder of an American ambassador in Benghazi, more than 40 months of 8%-plus unemployment, a $16 trillion deficit, no federal budget for the last three years and so on. There's also the risk that in trying to make up for Obama's weak debate, Biden comes across as too aggressive. As for Ryan, he says the pressure is on him after Romney's strong showing last week. Ryan says he expects Biden to launch at him "like a cannon ball," describing Biden as a gifted, extremely experienced and proven debater. Really? This is must-see TV Thursday night. Here’s my question to you: In light of the results of the first debate, how important is the vice presidential debate? Joe Biden: asset or liability for President Obama? Joe Biden's recent gay marriage gaffe is only the latest example of the vice president stepping in it. And some are starting to openly wonder if Biden is the best running mate for President Obama in what is shaping up to be a close contest against Mitt Romney. Republicans are making a strategy of targeting Biden, following him closely on the campaign trail in the hopes that he slips up. A source close to Romney tells Politico that Biden is "a ticking time bomb. Who the hell knows what he's going to say?" And another Republican describes the veep as "the chink in the armor" - someone likely to commit unforced errors. Biden's off-script moments are legendary, from describing then-candidate Obama as "clean" and "articulate" in an interview to calling Obama’s health care reform a "big f***ing deal" on mic. But Democrats insist Biden is the best surrogate for the president. He connects with working class voters in a way that the sometimes aloof president can't. 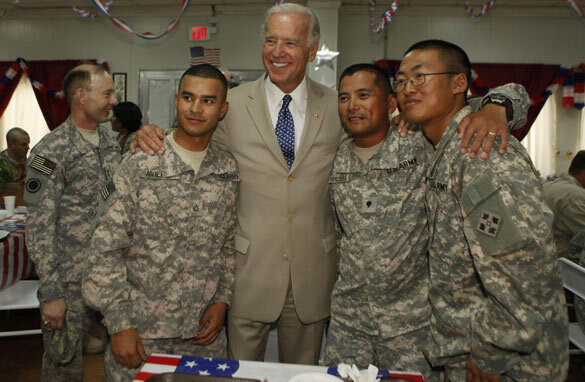 Also, Biden is a great attack dog who goes after Romney in a way Obama might not want to. Just yesterday Biden said Romney's time in private equity didn't qualify him for the White House any more than being a plumber would. Gotta love it. Meanwhile if you listen carefully, the calls for a Vice President Hillary Clinton keep getting louder. 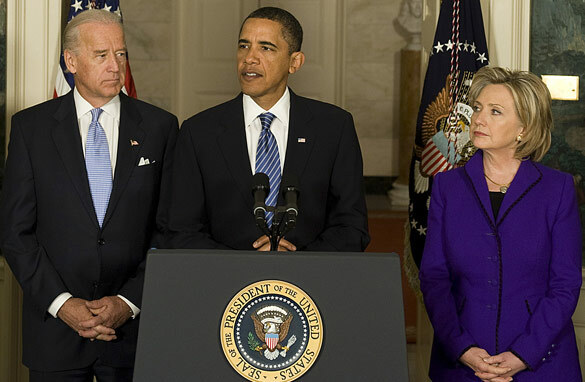 Clinton's approval numbers are through the roof, and some suggest that with Romney closing the gender gap and gaining among women, Obama should dump Biden for Clinton on the ticket. It seems like a remote possibility, but stranger things have happened in politics. 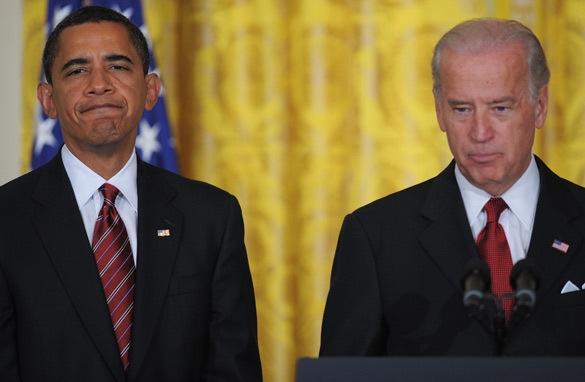 Here’s my question to you: Joe Biden: asset or liability for President Obama? 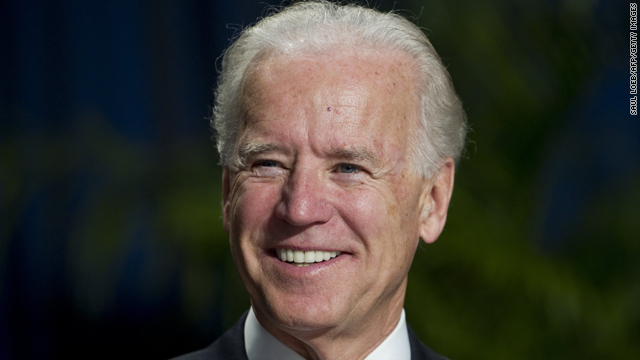 Would you vote for Joe Biden in 2016? It's never too early to start looking ahead to the next election. You may or may not think it has a ring to it. But that may be just what the vice president has on his mind for 2016. According to Politico, the often-unpredictable and entertaining Mr. Biden, who's already been down this road twice before, is quietly assembling a team of advisers which includes a top Clinton-era operative. So one might wonder if Biden thinks the third time might be a charm. Close friends say right now he's focused on helping President Obama win a second term. He's already popping up on the campaign trail-and depending on what's on his mind, he can arguably be the most interesting one out there. After that though, friends think - and think he thinks - a potential White House run could be on the table. Not everyone says that's such a great idea. After all, he'll be 73 and has been known to put his foot in his mouth on occasion - sometimes on no occasion. Of course there is also Hillary Clinton - who is a much bigger star in the Democratic party. She ran in 2008 and came very close to beating Obama for the nomination. There was even talk she was going to replace Biden on the ticket as President Obama's running mate this go-round. There are also some younger up-and-comers who could potentially breathe new life into the party and may want to give it a go. Politico suggests New York Governor Andrew Cuomo or Maryland Governor Martin O'Malley, to name a couple. Never mind all that. I hope Biden jumps in. It would be the most refreshing thing to happen to presidential politics since, well, Obama ran. 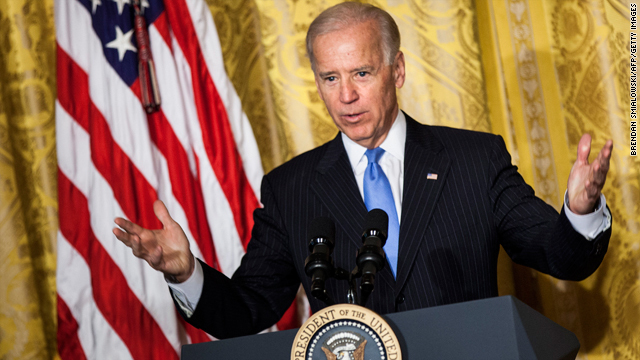 Here’s my question to you: Would you vote for Joe Biden in 2016? VP Biden said Israel is free to set its own course on Iran. What does this mean? There is some question whether Vice President Joe Biden did it again. Over the weekend, Biden said that the U.S. would not stand in the way if Israel attacks Iran's nuclear facilities. Some say this signals a change in U.S. policy - drawing a harder line against Iran. But the White House said the statement simply maintains what they've always said: That Israel has the right to defend itself. The Vice President also said that the U.S. remains willing to negotiate with Iran, in spite of the recent violence that erupted in the wake of the contested re-election of President Mahmoud Ahmadinejad. In May, Israeli Prime Minister Benjamin Netanyahu met with President Obama and said he'd wait it out for the rest of this year to see if Iran is willing to talk. When asked if this was the right approach, Vice President Biden did not say whether or not the U.S. agrees with the position, but did say: "Israel can determine for itself - it's a sovereign nation; what's in their interest and what they decide to do relative to Iran and anyone else." Here’s my question to you: Vice President Biden said Israel is free to set its own course on Iran. What does this mean? V.P. Biden an embarrassment for prez? "Barack Obama throws Joe Biden under the bus" is how one British newspaper describes the president's little dig at his number two during last night's press conference. President Obama was asked about the Veep's recent remark that even if the White House did everything right in combating the economic downturn, there's a "30% chance we're going to get it wrong." The president grinned a little, saying he didn't remember "exactly what Joe was referring to.” Smooth as ever, Mr. Obama went on to say that he wouldn't assign a numerical value to all this. But given the magnitude of the problems we're facing, no one single thing they do will solve all the problems. But let's get back to the vice president. During the campaign, folks were always wondering what would pop out of Biden's mouth next. Biden has said "I never make any big, big gaffes”, but many would beg to differ. Perhaps the biggest headache came in late October when his running mate suggested that Mr. Obama would be tested by an international crisis within his first six months in office, something the McCain camp seized on immediately. And, it didn't end on the campaign trail. During their first full day in office, Biden joked at a press conference about how his memory wasn't "as good" as Chief Justice John Roberts', who stumbled over the president's oath of office. The president wasn't laughing, and Biden later apologized to Roberts. Here’s my question to you: Is Vice President Joe Biden becoming an embarrassment for President Obama?